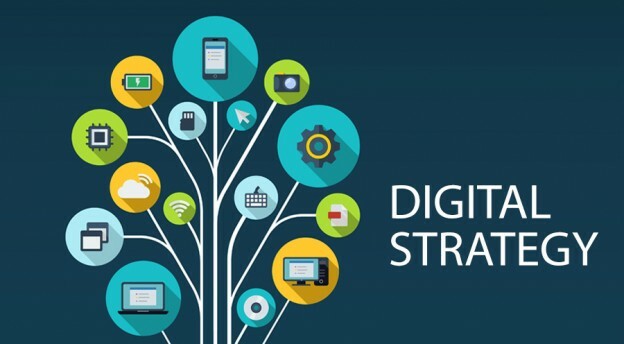 Why is it necessary to have a digital strategy? Still too many companies are working without real digital strategy and are using digital tactically. Yet by doing so, they put themselves in danger. Having a digital strategy is not a luxury, but a necessary passage to success. The massive digitization of society has opened an era of unprecedented change. In just 15 years, everything has changed around us, and this is just the beginning. To succeed in developing and consolidating its activity in this permanently changing environment is anything but obvious. Yes, digital creates extraordinary opportunities, and the field of possibilities seems very vast. Yes, it is possible to create digital companies which in a few years will become impossible to circumvent. Yes, it is possible to take advantage of digital to reinvent a model of ” A recent study by Capgemini Consulting shows that the most mature digital companies, called “digirati”, have, on average, a profitability of 26% more than their counterparts in the same sector and one Turnover of 9% higher. But digital as such is not a panacea! Digital marketing brings new meaning to marketing. It creates a genuine relationship with consumers, better understands them, and anticipates their needs and expectations. Nevertheless, contrary to a widespread belief, the digital ecosystem is complex and complex from day to day. Unfortunately it is not enough to be present on the digital tools to ensure its development. It is first and foremost to define a strategy! With time you realize that too many companies (and often beautiful companies) work without real digital strategy. Not convinced by the added value of the consulting agencies – often rightly admitted – or considering the definition of a real strategy too time-consuming or even superfluous, these companies continue to act tactically. Certainly digital has the advantage of being more responsive than other marketing channels, but without a defined strategy, a very important part of what you do in digital is most likely not a priority, or needless to see against productive. This entry was posted in Online marketing and tagged internet marketing mauritius, online marketing, online marketing mauritius, Search Engine Optimization: How to, Search Engine Optimization. SEO strategies, SEO, SEO mauritius, social media mauritius on June 13, 2017 by admin.